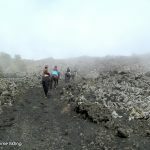 This is a wonderful three days trail for riders who want to admire the rough nature and the stunning landscapes in the Etna area. Ardichetto stables - Val Calanna - Ragabo pine forest. 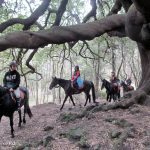 Today your ride will begin from the stable Ardichetto, through old roads and paths of woodlands until you reach “Val Calanna” – once a green valley, now a „lava desert”. 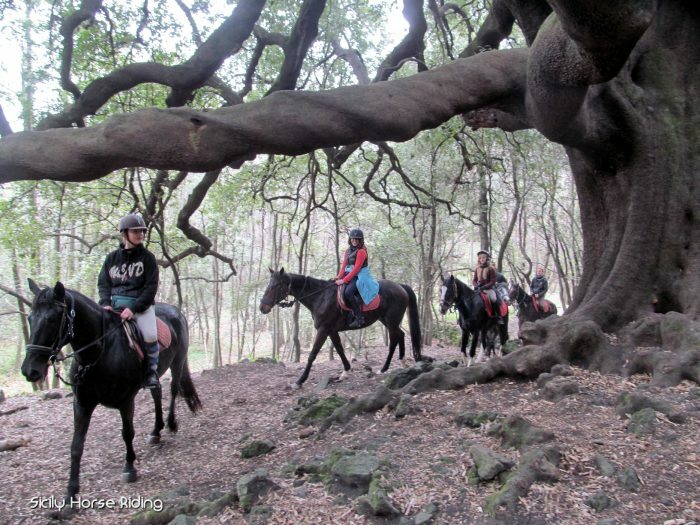 You will reach the famous “Ilice di Carrinu”, a beautiful , huge, about 700 years old oak tree. After a short photo stop you will ride in the direction of “Ragabo” pine forest until you reach your accommodation. Dinner and overnight. 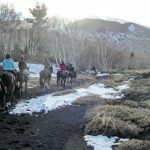 After breakfast you will ride up to “Piano Provenzana”, famous as a Ski resort during winter season until you will reach the famous volcanic cone “Monte Nero” (approximately 2049 a.s.l.). 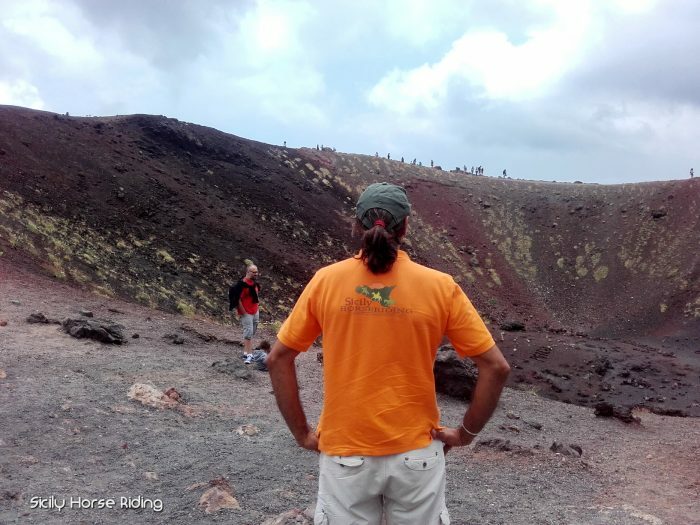 Along your ride you can admire some particular craters also called “hornitos” and lava flows from different periods. 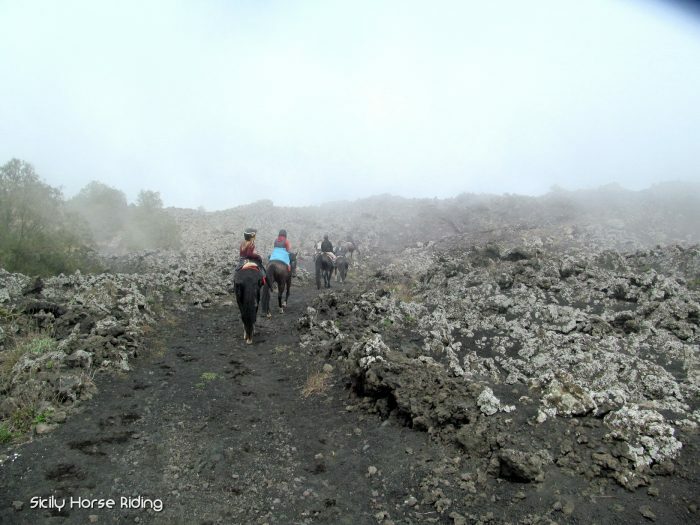 You will ride through the forest and you will enjoy typical volcanic landscapes. You will climb in the direction of “la bottoniera” (approximately 2150 a.s.l.) 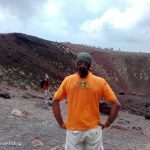 where you will see a succession of craters from the last great eruption of 2002. 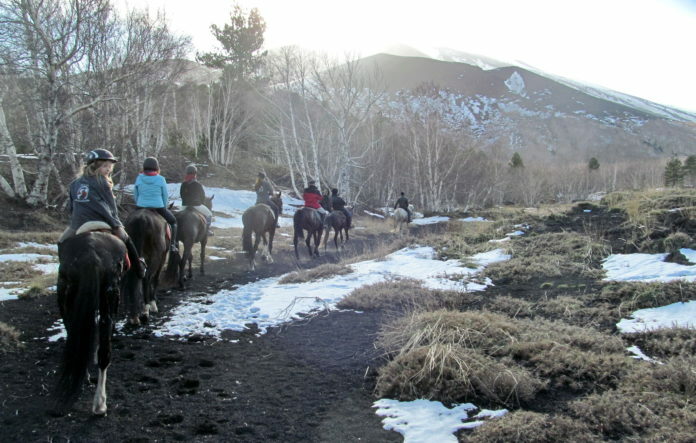 You will ride down in direction “Altomontana” a wide path at an average height of 1700m a.s.l., drawing a half circle around Mt Etna, where you can explore the characteristics of the volcano: old craters, stone forests, woodland, old lava flows. You will ride towards the forest “Timparossa” until you will reach the cave “Grotta dei Lamponi” or Raspberry cave, formed by old lava flows. After the visit of the cave you will continue towards “Monte Spagnolo” where you will enjoy your pic nic. 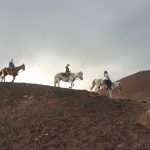 After then you will continue your adventure to reach again the “Altomontana “path and you will ride through the domain “Filicius Milia” to the volcanic cone “Monte Scavo”. From “Rifugio Galvarina” your ride will lead you to the cave “Grotta S. Barbara” until you reach your accommodation. Dinner and Overnight. Silvestri Craters - Ardichetto stables. 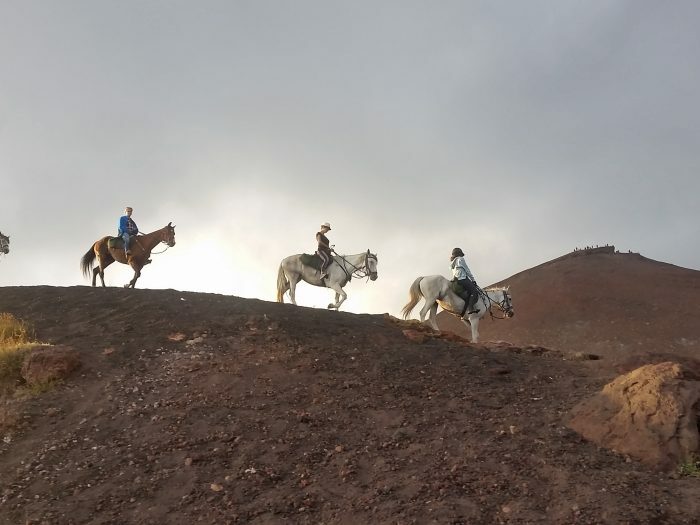 After breakfast your ride will lead you towards “Silvestri Craters”, you will ride along the border of the extinct volcano from the eruption of 1892. On the days of good visibility, don’t miss the amazing view. You will reach a hight of 1900 a.s.l. and then you will descend enjoying the landscapes of Etna. You will then continue to descend through old lava flows to reach the cave” Grotta Cassone” – a 277 meters long tunnel of old lava flow from 1792. You will ride towards “Piano del Vescovo” near to which you will enjoy your pic nic before you descend in the direction of the stable Ardichetto.